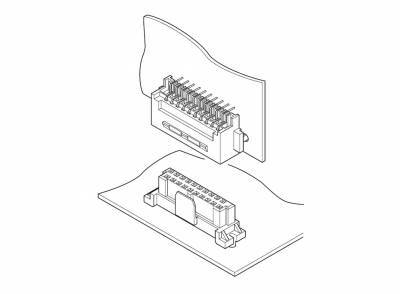 The JDV connector is designed for board-to-board connection with locking device, and highly resistant to equipment vibration and shock. Both secure lock and friction lock connectors are available. Flexibility is given to the design of PC Board with this staggered solder tails. The positioning bosses having the temporary retention lock mechanism are prepared in order to make mounting on PC. Board easy. 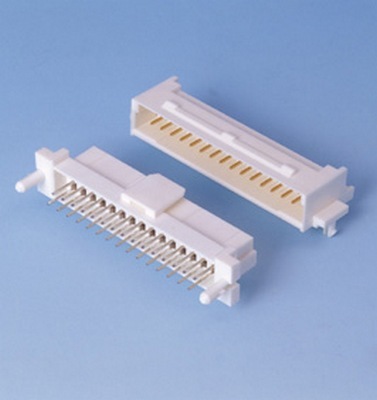 The JDV connector with solder tab is available.